Today’s Tuesday’s Travels – gluten free finds us at a great little restaurant we (my husband and I) discovered while on a trip to Montreal, Quebec, Canada. It’s name says it all … Zero8. Zero8 is free of all top eight food allergens, including wheat/gluten, dairy/casein, soy, eggs, peanuts, tree nuts, shellfish, and fish. I decided to begin my series of Tuesday’s Travels with this particular restaurant because not only are restaurants with this approach uncommon, but the extent to which the restauranteur takes his safe-food practices is, I believe, rather rare. Creating a dining environment where the guest can experience total freedom is what this restaurant is all about. Freedom from worry of hidden ingredients, cross-contamination, or lack of knowledge and understanding by the wait staff. Freedom to choose anything on the menu and not hear the waiter say, “We can make you a nice salad.” Freedom to share flavors with your dining partner and sneak a taste off the plate when they’ve just told you how much they’re enjoying their dish. Freedom to not go through the “I have allergies” schpeal. Freedom! Zero8 takes this freedom to an elevated level though. They do not allow anything to enter their establishment, front door to receiving dock, that contains or has been manufactured in a facility with an ingredient on the top eight allergens list. Freedom? Yes, complete freedom. 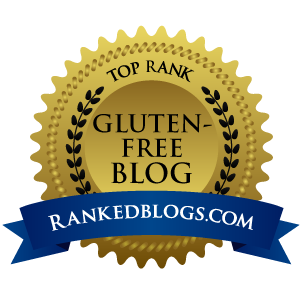 It was difficult to believe that the delicious food we enjoyed was free from all of the top eight allergens. With complex flavors and rich sauces, each dish accentuated the ingredients perfectly. Any one of the entrees we chose could easily be served in well-known restaurants without telltale signs that something is “missing”. Zero8 is located in the Latin Quarter of Montreal, French being the primary language spoken in this region and throughout Quebec, making this foreign country dining experience very authentic. The staff speaks English fairly well though, allowing for comfortable communication and a relaxed atmosphere. Honestly, I found that many of the locals will initially speak French, quickly switching over to English when necessary. If you find yourself in Montreal, or are looking for a foreign North American city to visit, be sure to treat yourself to a dining experience minus the worry and full of freedom. Zero8 is a find I’m glad I can share with you. For more information about Zero8 including prices, their address and contact information, be sure to visit Zero8.